What is 2-1-1 Texas and how does it work? What is the difference between 2-1-1, 3-1-1, 4-1-1, 5-1-1, 7-1-1 and 9-1-1? When I call 2-1-1, who is answering the phone? What type of information can access through 2-1-1? I am a service provider. What programs are eligible to be listed in the Community Council of the Rio Grande Valley Database? How can I as a service provider, add, update or remove my program profiles in the Community Council of the Rio Grande Valley Database? Where does 2-1-1 get the child care information? Will 2-1-1 give me free child care? 2-1-1 is a free, easy-to-remember phone number connecting callers with health and human services in their community. When you dial 2-1-1, you will talk to a trained resource specialist who has access to comprehensive database listings of health and human services that exists in the Rio Grande Valley and some in the state of Texas. This includes but is not limited to: rent and utility assistance, food, emergency shelters, where to get employment help, medical and mental health assistance, help with transportation, and trained suicide intervention counseling. You can also get information on affordable child care and disaster relief information. Information and Referral (option 1) is available 24 hours a day, 7 days a week throughout the year. Information can be provided in over 90 different languages. Eligibility Services/State Benefits (option 2) is available Monday through Friday from 8 am to 8 pm. The Office of Inspector General (option 3), to report waste, fraud, and abuse is available Monday through Friday from 8 am to 5 pm. If you are calling from outside of Texas, or have technical difficulties when dialing 2-1-1 from your cell phone, voice-over-IP, or office location, please dial the toll free alternate access number at 1-877-541-7905. 2-1-1 Texas is a free, easy-to-remember phone number connecting callers with health and human services in their community, as well as, state benefits and reporting waste, fraud, and abuse. 3-1-1 (where available) is city non-emergency police/utilities (i.e. downed trees in the roadway, escaped livestock, etc.) – things that need attention, but are not life or death emergencies. 7-1-1 is for RELAY TEXAS, which is for communication between TTY users and hearing persons. This service connects those who have a TTY and needs to talk to someone who does not, or if you do not have a TTY and needs to talk to someone who does. The Information and Referral services available through 2-1-1 are staffed by Call Specialists who are working towards or have received their endorsement as a Certified Information and Referral Specialist (CIRS) by the Alliance of Information and Referral Systems(AIRS). 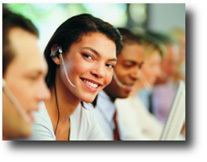 These Call Specialists are trained to provide you with professional service according to the AIRS Standards. They are skilled at quickly searching through a comprehensive database to find the most accurate and appropriate referrals to meet your needs. What type of information can I access through 2-1-1? Programs must meet our approved Inclusion Criteria are geographically indexed by city, zip code and by county. The Inclusion Criteria may be obtained by dialing 2∙1∙1 and asking to be connected to the Database Manager who will provide you a copy of the criteria. Contact the Community Council of the Rio Grande Valley by dialing 2∙1∙1 and asking to be connected to the Database Manager who will provide you with specifics on what programs are eligible to be listed in this database. In order to add, update or remove your program profiles in this database, please contact the Database Manager as stated above and you will be provided with the appropriate forms and process to add, update or remove program profiles. All child care providers in the 2-1-1 database are either licensed or registered by the Texas Department of Family and Protective Services (DFPS). The information listed within this site comes from DFPS. No. The service that 2-1-1 provides is information and referral; we do not directly provide child care or any other services listed in our database. The 2-1-1 information specialist will help you to locate the child care options that fit your budget and child care needs. If you qualify for assistance with your child care costs, 2-1-1 will provide you with the information you need to access that assistance.